For a few years there, I did a lot of music. I was in various bands, played piano in bars, and recorded various things. From 1998-2004ish I mostly worked with my mate Thom Falls, on a project we called Varjak. We released our first 4 track EP at the start of 2002 on our own “voxel” label. I’m still proud of it – got some good reviews, sold enough to cover costs, nice to have pulled something together. Electronica, with melancholy vocals. I dont know if they are the kind of songs I’d write now, but as a point in time – its a good record of where we were at. We’ve still got an album’s worth of material kicking around that needs tidied up. Life (house moves, proper jobs, partners, babies) kind of got in the way – and its probably time to think of revisiting it – or just revisiting music – all again. After all, we have the darkroom studio at home, and its just a time and energy thing that is stopping me…. (“just” a time and energy thing!). I dont need to tell you how much the music industry has changed in the past 10 years. We wouldnt bother pressing up a cd now (although, how much fun? mastering a cd and going to the plant to get it pressed up? holding it in your hand?). 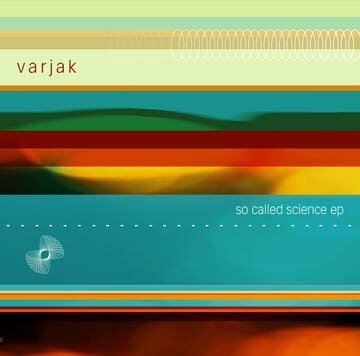 I’m pleased to say I’ve finally got my act in gear, and Varjak: So Called Science is now available on emusic for cheap purchase online (and should be coming to other online music stores soon). But I’m still left with a couple of boxes of CDs under the bed, and lets face it, they aint going anywhere. So here’s the deal – if you email me (m dot terras at ucl dot ac dot uk) with the subject line “CD please!” and give me your address, I’ll pop one in the post to you, whilst supplies last! Cant say fairer than that! I still enjoy listening to that ep every now and then! Come on now Mel, you could give us a taster here, so we know what we're letting ourselves in for, surely? I have downloaded this wonderful quartet to my ipod and they have improved my quality of life on my daily commute to and from work. I love the lyrics, but tantalisingly there are fragments I can't quite get. Are you willing to release a transcript of them to an expectant world? !